I love ice cream. I especially love creamy and delicious probiotic ice cream. This recipe is my FAVOURITE because it is so easy to make, and it is a great base recipe for all sorts of flavour combinations (check out the bottom of the post for some ideas). This ice cream recipe uses pre-cultured cream and milk. I usually do this with my milk kefir grains. However you could use cultured buttermilk or sour cream to culture your cream. Or if pre-culturing cream just isn’t your thing, then use uncultured cream and substitute yogurt for the milk to get your dose of probiotics. This recipe is an uncooked ice cream (for the probiotic goodness) so I use honey instead of sugar to keep the ice cream soft and prevent crystallization. 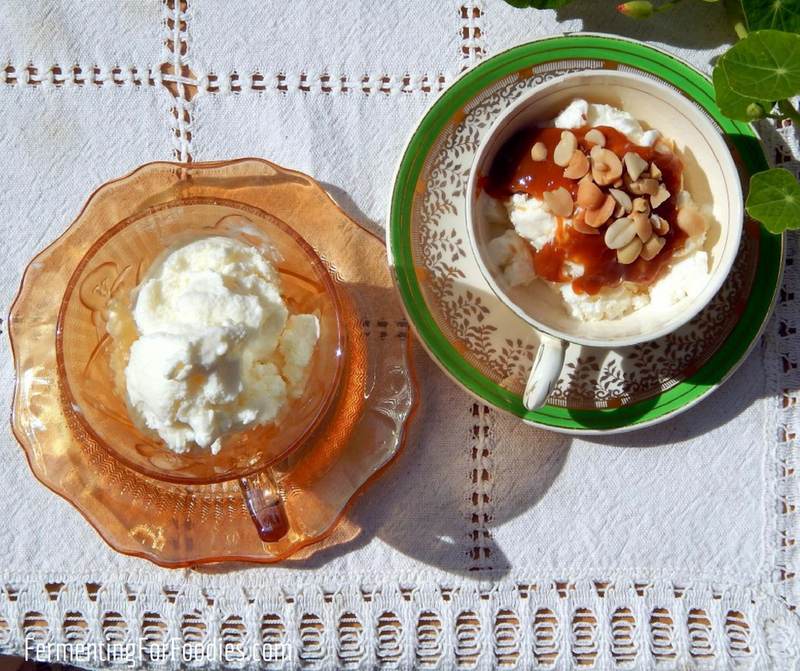 I also like the depth of flavour that honey adds to the ice cream. Mix all the ingredients together. You may need to heat up the honey to get it to combine with the cream. Just cool the mixture in the fridge before putting it in the ice cream maker. 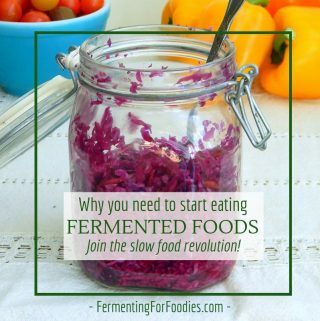 Transfer to an airtight container and freeze for at least 2 hours before serving. -You can culture your milk and cream at room temperature with milk kefir grains or using cultured buttermilk or sour cream as a starter. See cultured whipping cream for more info. , and I love it. This is a great BASIC recipe that can be turned into all sorts of different ice cream flavours. Flavours can either be added during the initial mixing phase of the recipe, or added into the last 5 minutes of churning for a distributed effect. I don’t recommend adding fruit to this recipe as it will change the volume and consistency. 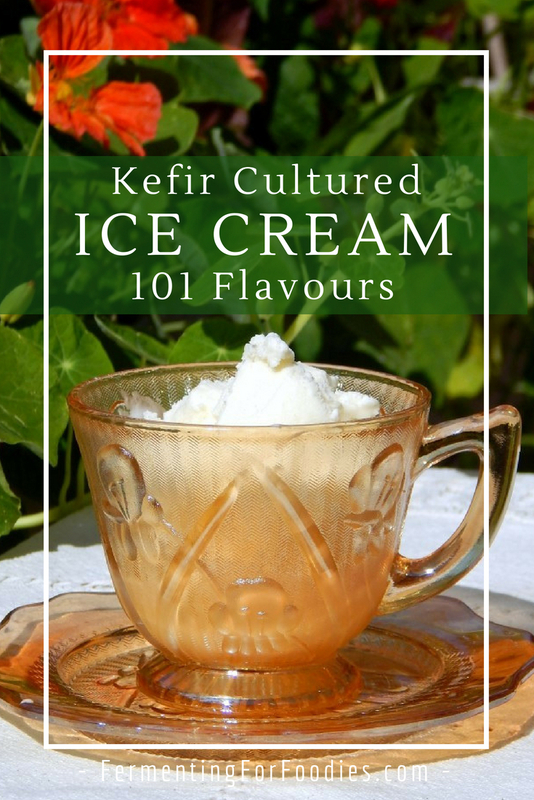 Check out my kefir and fruit ice cream recipe if you want a fruity ice cream. Here are some suggestions that work well. Herbs and spices: Use up to 1-2 cups of fresh herbs or 1 tbsp of ground spices. I recommend mint, rosemary, basil, chai spice or pumpkin pie spice. Hi! 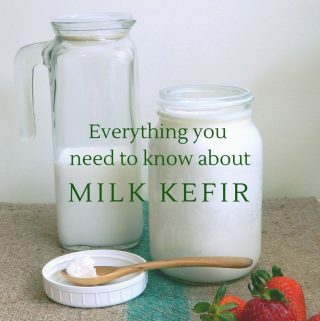 Do you think kefir cheese could be used in place of the cultured whipped cream? Thanks for your reply, Emillie! So I made it for Easter yesterday and it was a hit. Really nice ‘tangy’ taste to it, everyone said it reminded them of frozen yogurt. I used about 2 cups of the kefir cheese in place of the whipping cream and thinned it a little with more kefir. Used organic cream in place of the milk, 1/2 cup raw sugar instead of honey (I was out of honey), added the salt, and also scraped 1/2 vanilla bean into the mixture. I heated slightly the cream with sugar to dissolve it then put everything into the blender, cooled it, then into the ice cream maker. YUM. Thanks so much for your eggless recipe. I can’t quite do raw eggs yet! I’ve made this several times, with lots of success.